This session examines the lives, works and influence of The Beatles on contemporary society. We will follow in the footsteps of The Beatles as they embark on their extraordinary career. Our journey will start from their early days as a cover band in Liverpool and Hamburg, into the excitement of Beatlemania to the formation of APPLE, and finally to their remarkable final recordings at Abbey Road Studios. Coming full circle, we will explore highlights of each individual’s post Beatles work. Vincent Bruno is a Beatles Scholar and Rock Historian. 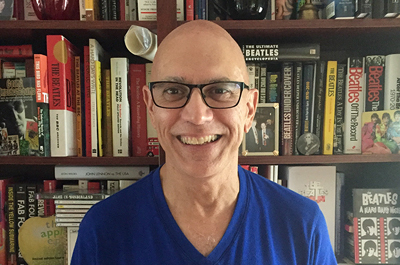 Mr. Bruno has recently retired as Director of First Year Programs at LaGuardia Community College (City University of New York), a position he has held since 1990. 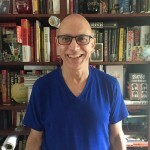 He holds an MPA from Baruch College and as an Adjunct Professor for the past twenty-five years has taught courses in numerous disciplines including Humanities, Business and Cooperative Education. In addition, Mr. Bruno for the past 17 years has lectured extensively on The Beatles and The Sixties at universities, colleges, public libraries and community based organizations. He currently resides in Arizona and New Jersey.